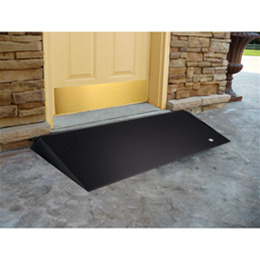 Slip resistant and made entirely of recycled tires, the EZ-ACCESS Transitions Angled Entry Mat is ideal for indoor or outdoor use and provides a safe and smooth ground-to-sill transition. 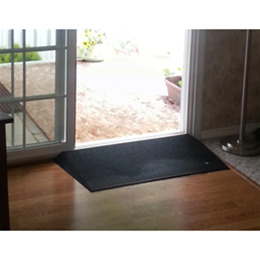 It is especially practical for sliding glass doors because it does not interfere with the door track. 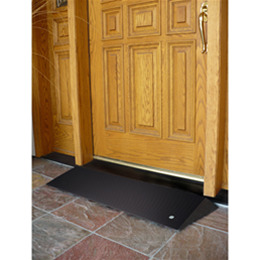 Usable width is 36" (40" and 43" overall including bevels) with a maximum height of 1½" and 2½".